As the jet age of aviation arrived, it immediately became clear that previous anti-air guns were incapable of countering jet-powered aircraft. Various countries began to design self-propelled anti-air defense systems capable of detecting, firing on and destroying fast-moving targets at various heights. 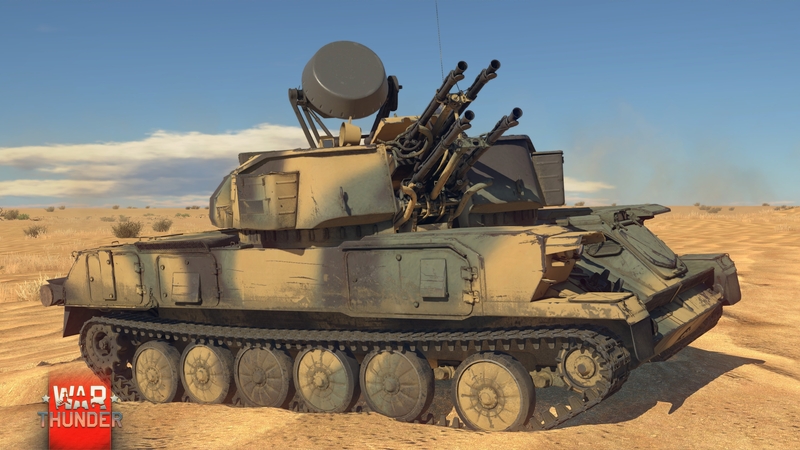 In War Thunder 1.63 Desert Hunters, we're introducing some of the most famous self-propelled anti-air guns of the post-war era. We've already told you about the American M163 Vulcan. Next in line is the legendary Soviet ZSU-23-4 Shilka anti-air gun! Named after a river in the Far East, the Shilka was the first series-produced anti-air artillery system with liquid-cooled guns. Before the 1960s, all Russian anti-air systems had air-cooled guns, and this had a pronounced negative influence on their firing rate. Designed based on the ASU-85 already so familiar to our players, the Shilka had an armored turret housing four liquid-cooled 23 mm autocannons, allowing the vehicle to direct a true river of fire toward the enemy – up to 3,400 shots per minute! Modern radar equipment allowed the Shilka to effectively engage air targets at heights between 100 and 1,500 meters, ranges of between 200 and 2,500 meters, and flying at speeds greater than 1600 km/h. 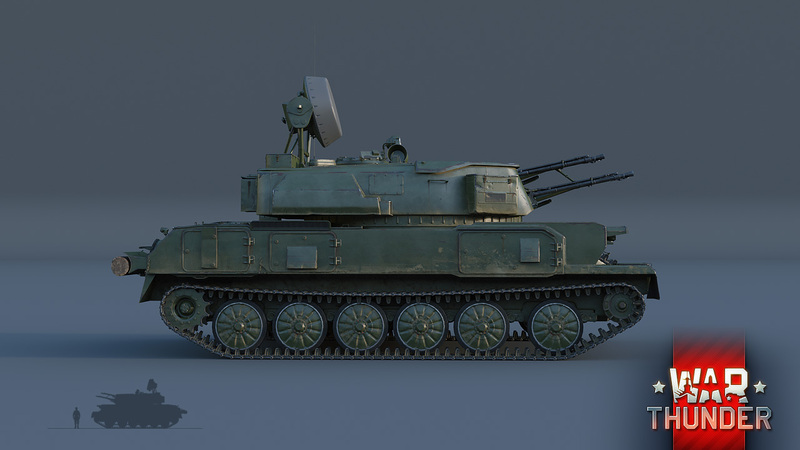 The Shilka was produced in large batches from 1962, and numerous improvements and advances were made to its components and assemblies over time. Even now that more modern artillery systems have replaced the Shilka, the ZSU-23-4 remains in service in several countries (though primarily for destroying ground targets). 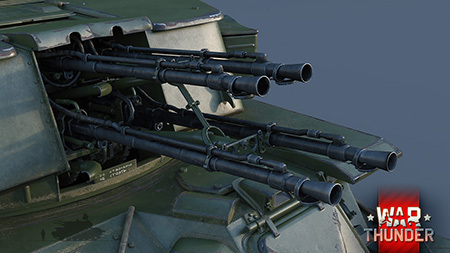 In War Thunder, the Shilka is designed to destroy high-ranked jet-powered aircraft – its high rate of fire, fast turret rotation and good vertical aiming angles allow it to take care of any air target at low altitudes with ease. At the same time, don't count on the ZSU-23-4 making a good anti-tank platform – of course, a volley of armor-piercing rounds into the side of a Leopard or other lightly armored vehicle is guaranteed to send its driver back to the hangar, but on the whole, the Shilka's armor-piercing shells are ineffective against ground targets. On top of that, the vehicle's armor is just 9-15 mm thick, meaning that it's best to steer well clear of the enemy tanks. 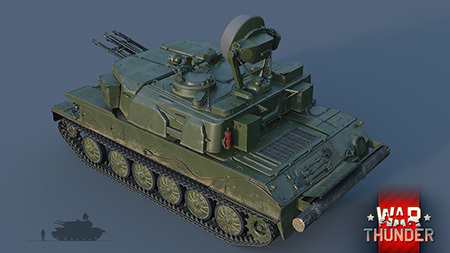 The ZSU-23-4 Shilka will make an excellent defender for its team against high-ranked air targets. Keep its strengths and weaknesses in mind to make the best use of it on the battlefield. See you in battle in War Thunder 1.63 Desert Hunters! Good hunting! Ki-87 - The super-turbocharged Samurai! YES YES YESSSSS!!!!! THANK YOU GAIJIN THANK YOU <3 FINALLY! IO0OI, Almost mate xD ... we now need a really good tank. Slute! 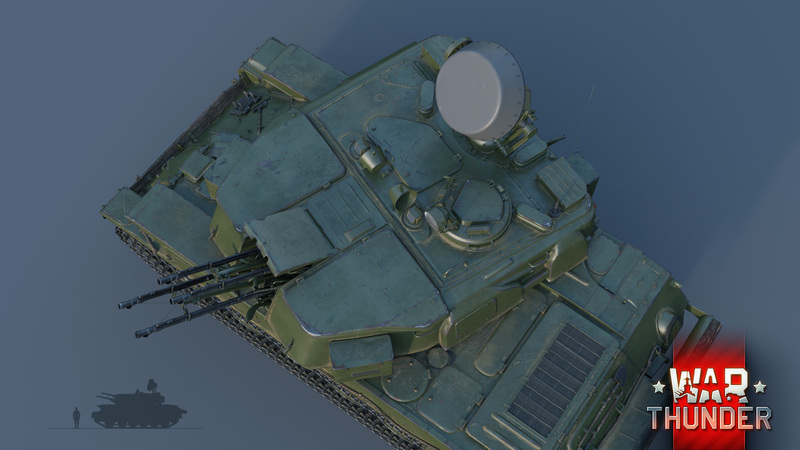 russian bias ... isnt the zsu powerfull enough? Quetzalkoatl, As wise slav once said :"scream "c*ky bly*t rush B!" and then wait for your MVP to come"
Great! But if you fix M60's armor, this patch would be greatER! Words couldn't be trueer. Fix the M60A1/M60/M48/M103 Turret armor. They're underperforming. _SpriteZero, doesn't m103 have the derpest tier 5 look and best gun sound in the game?